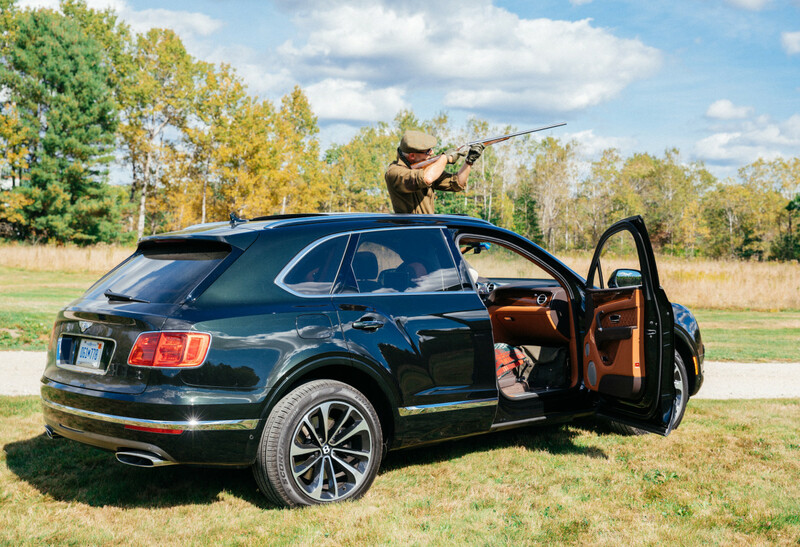 The Bentley Bentayga is the ultimate gentlemanly conveyance for country pursuits, bar none. Though detractors of the world's most expensive, exclusive and fastest SUV often sniff that "no one actually goes off-road in them." 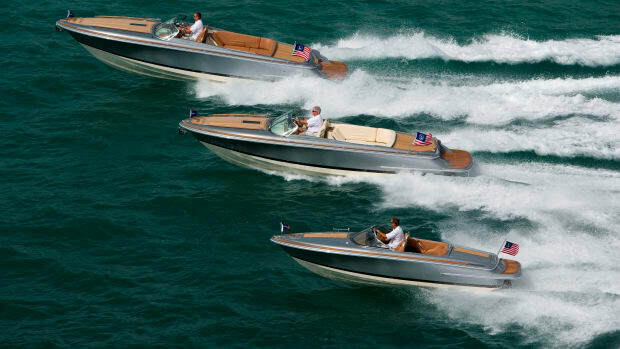 Well, we've done so on more than one occasion, and while it's true the well-bred Brit never loses its cool even while climbing rocks, we'd really hate to scratch anything that costs $230,000-plus. So we think the ideal way to enjoy the ür-SUV is not on a Dakkar-style rally but rather just off the beaten track where lesser vehicles may fear to tread but the environment is still civilized and suited to Bentley's aristocratic English heritage. A place where you can experience the Bentayga's capabilities while still reveling in its Savile Row-esque appointments. Thus we recently piloted one up to Fogg Farm, the picturesque property in Freeport, Maine that is home to L.L. Bean's original Outdoor Discovery School. L.L. 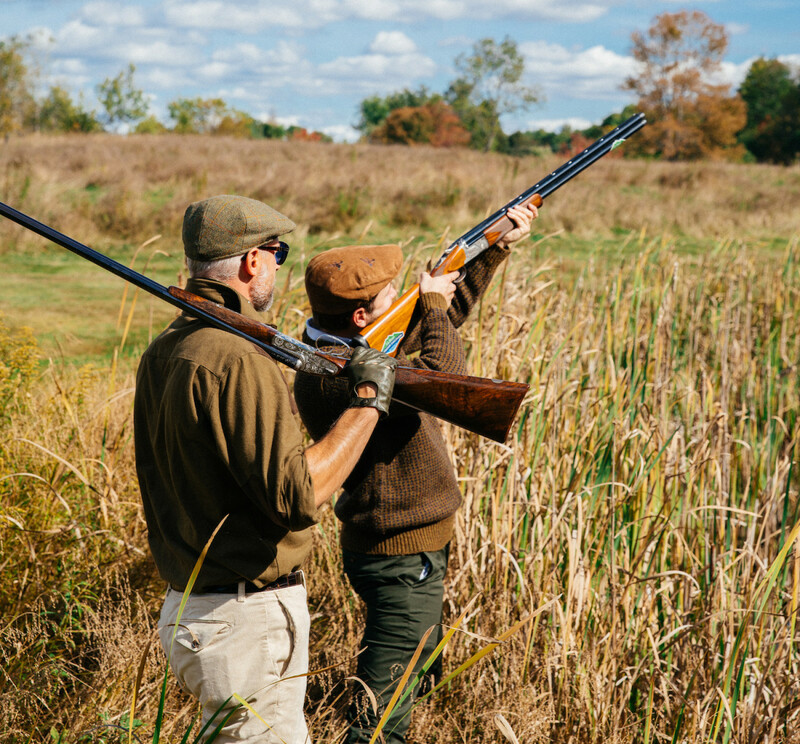 Bean is, of course, America's most famous country outfitter, and as it sounds Fogg Farm is the ultimate venue for honing your hunting, fishing and archery skills, among others. Before embarking on the journey we'd carefully selected both the Bentayga's interior and exterior finishes and the clothing and accessories we'd require to make the trip a smashing success. For the car, we specified Midnight Emerald green paint with quilted Saddle brown leather upholstery appropriate for the setting and season. 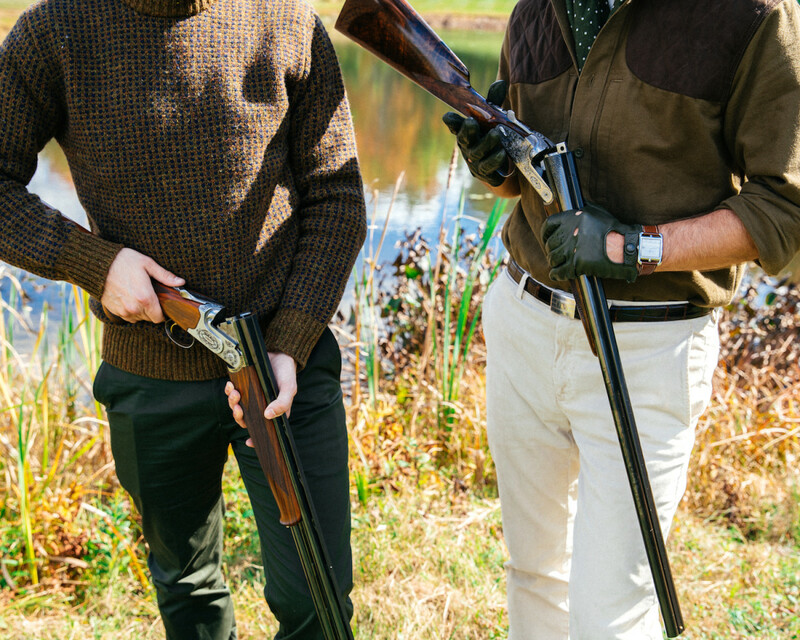 And for ourselves, we grabbed some country essentials from classic British brand Barbour and ordered others from L.L. Bean's copious catalog, in particular, its specially crafted Signature collection and ruggedly handsome items from its Outdoor selection of adventure wear. Since we were headed to Freeport we, of course, opted to pick up our gear at the brand's famed flagship store, open 24 hours a day. 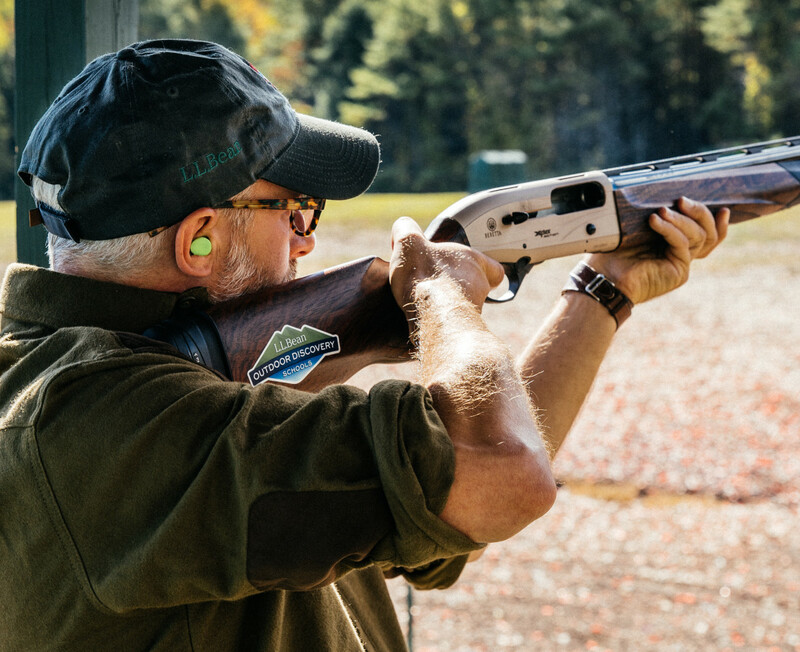 At Fogg Farm, we opted to try our hand at their renowned five-stand sporting clays course, and spend some time with the brand's beautiful handmade 100th Anniversary Shotgun, created to commemorate a century of outdoor excellence. We also decided to "field test" (for photographic purposes only) some of the gear and get the Bentayga a bit dirty in the process. 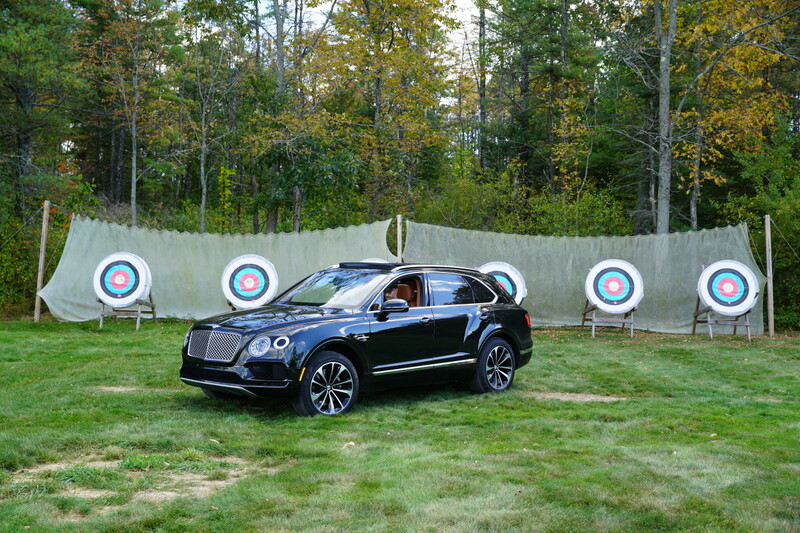 The Bentayga was of course perfectly at home in such surroundings, and furthermore, it came equipped with the Event Specification option, which deploys a padded leather seat from the cargo area for posh pop-up tailgating. 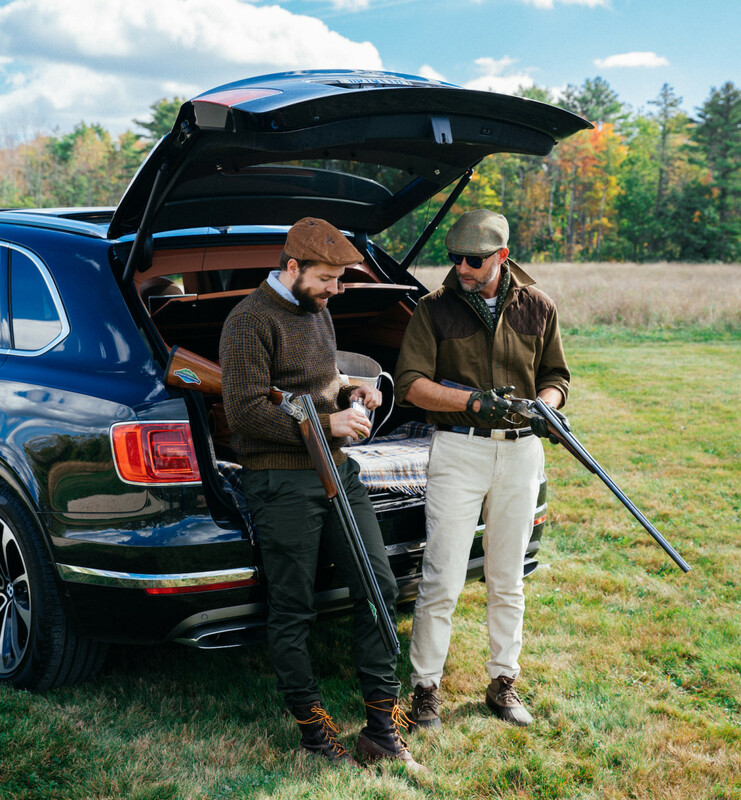 There is a calmness and confidence that comes from driving such a beautifully crafted car, and we'd be remiss in not crediting some of that with our near-perfect shooting on the clays course. 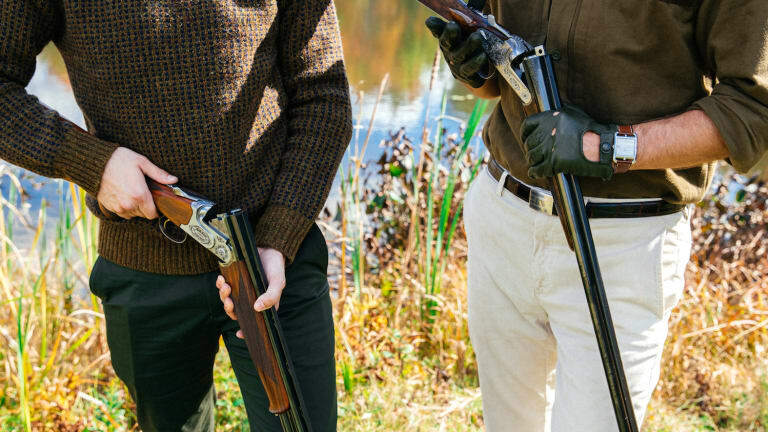 Of course, the beginning of the session was all about safety, as it should be, but having ticked all the boxes the target practice began in earnest. 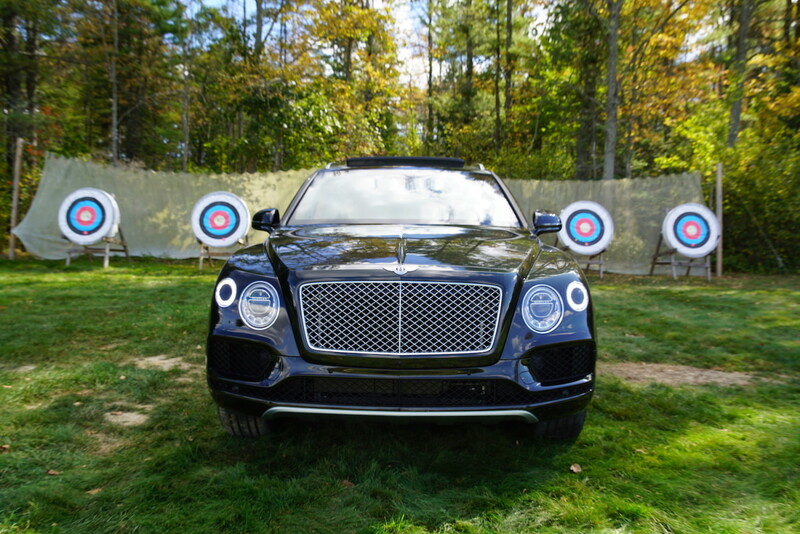 All in all a beautiful day's diversion, and one that proves the Bentayga is equally adept in the field as on the road. You don't have to drive all the way up to Maine to experience it for yourself – but we'd highly recommend it, old sport.